Choosing a plumbing contractor be challenging. There seems to be so many of them. But there are a few simple steps that can help you find a plumbing professional here in Richmond, IN and Wayne County. Whether you have a leaky faucet, a drip from your shower head, a toilet that won’t flush, or a septic tank system that seems to be failing, these steps can help you choose the best plumber for your needs. The first step to discovering a plumbing contractor in your area is to consider the length of time that those in your region have helped the locals. In most instances, tenure speaks of a contractor’s reputation, the fact that they offer competitive pricing, and the quality of their work. 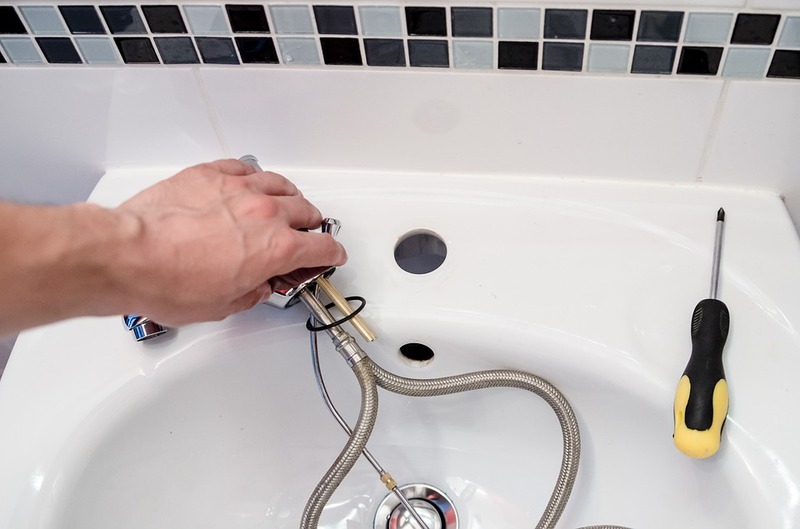 A company that employs plumbers that have been servicing a particular area for a longer time is often considered to be more reliable than a company that is new and has only been in business for a short amount of time. While it is true that new companies may offer a wide range of financial-based incentives to draw in customers, the company that has a long tenure is often the one that offers the highest quality work. When it comes to plumbing, quality is essential. As a homeowner, there will come a time when professional plumbing services are essential. When reviewing local agencies, you should search for written reviews, make inquiries among family, friends, and others in the community, and take heed to any and all recommendations offered. If you notice that a plumbing contractor has a series of reviews, recommendations, and experiences that are less-than-favorable, this should be considered a red flag. Balanced feedback and positive reviews display a contractor’s positive reputation among those in and around the community. Many make the mistake of opting for plumbers that are from a large business over those that classify themselves as “independent contractors” or “small-town businesses”. While large businesses may be able to handle larger loads, those that arrive to your home often carry the minimal amount of training and certification. As a result, the job completion may prove to be less-than-favorable. However, those that work independently, or advertise as a “small-town” plumbing contractor are often those that have the highest amounts of certifications, hold themselves to the highest standards, and do the highest quality work. When attempting to select a plumbing contractor for your needs, it is imperative that you ask questions. As you go through this process, place an emphasis on how friendly the professional is, their critical thinking skills, their attitude, and the amount of knowledge that they seem to possess. Do you have a license and may I see proof of your licensure? Are there any references that you would like to share with me? How many years of experience do you have in the plumbing field and have you ever dealt with the issue that I am experiencing? May I see your pricing model? Do you back the work that you do with any type of warranty? If so, how long is the warranty for and what does it entail? The next step to discovering a plumbing contractor is to request a free estimate in writing. Those that stand by their work, are honest, and operate a trustworthy business are those that will be completely willing to go above and beyond for their clients. They are glad to provide a free estimate and to place the prices associated with the job in writing. Those that overcharge, do not stand by their commitments, and are simply in the business to make a quick buck are those that you will want to avoid. We here at Reynolds Plumbing, Inc. and HVAC are small-town plumbing contractors that have a big customer base. We offer the most competitive prices, have the highest level of knowledge in our field, and have served our area for over three decades. We understand the importance of your plumbing system and stand by the work that we do on it. Simply contact us today and we will tend to your needs.